In one of her circular letters Mother Antonia Colombo noted that “Holy students require holy educators, capable of honestly living evangelical freedom of speech and of overcoming timidity to propose to young people goals of beauty, truth, and goodness, made attractive by the transparency of their witness” (Circ.854). Transmitting the extraordinary legacy that Jesus communicated in the entrusting of himself as a living Presence: this is the raison d'être of the Church, his journey in history. A mystery of faith, a certainty that is a source of consolation and hope. The Year of Faith provides an opportunity to revive the memory of the Presence of Jesus, source from which we draw in order to give credibility to proclaiming the Good News to young people. 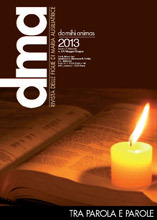 Thanks for the DMA Magazine;for years you looked after it with passion and clear guidance. 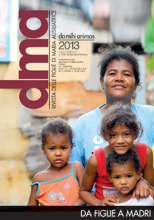 With you, the “Youth Ministry Review” became the Magazine for the Daughters of Mary Help of Christians.